I’ve come to notice that several games have dominated certain periods of my life. I thought it would be interesting to go through them. Naturally, these aren’t hard-and-fast demarcations, but they do show some of the peaks and valleys when it came to what games were popular in my circles at what times. Pre-high school: This is when I first discovered wargaming, and was buying and playing as many SPI and Avalon Hill games as I could get my hands on. I had a best friend who was also into these games, so that helped a lot. 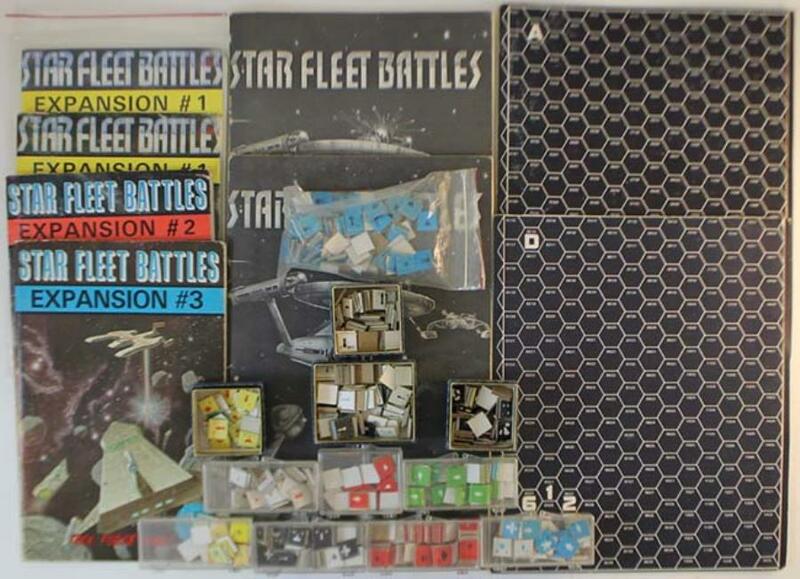 Biggest titles; Tactics II (my first wargame ever), Afrika Korps, Invasion America, World War III, Starfleet Battles (both with counters and miniatures), and War in Europe. This is also when I started with the LBB’s, went immediately to Holmes Basic, and in a few months to AD&D. High School: This was the high-point of my D&D playing, with lots of time, lots of friends into the game (it was the early-mid 80’s, so the craze was at its peak), and lots of energy. But even so, we crammed a lot of board games into our play, too. 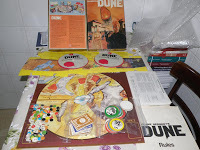 Biggest titles; Dune, Risk, Diplomacy, Kingmaker, Quirks, Creature that Ate Sheboygan, Ogre/GEV, and Starship Troopers. In addition to AD&D 1st edition, of course, as well as Marvel Super Heroes, which I adored (this was the time I was getting every Marvel title, and Secret Wars was all the rage). This was also my high point in playing play-by-mail games. College: Here we go. 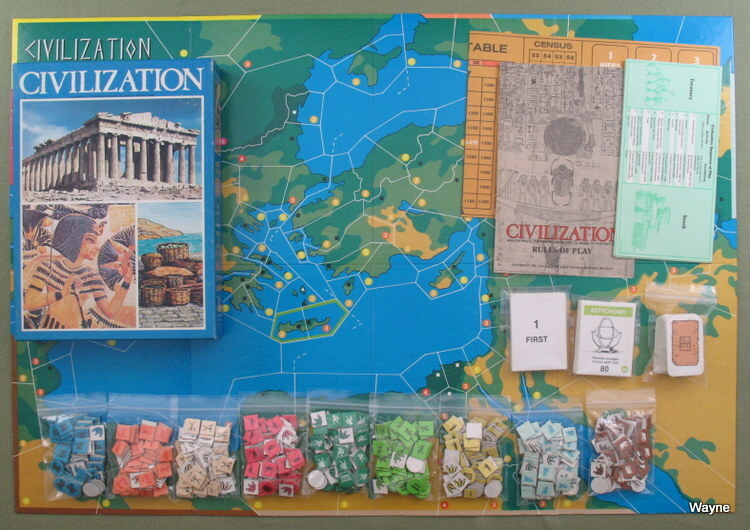 Lots and lots of AD&D 1st edition (and Call of Cthulhu in sophomore year), but we played a LOT of Titan, Diplomacy, and Civilization (using the Advanced Civilization expansion, of course). This is also where I came into full flower with Napoleonic miniatures, through the Boston University Simulation Society, of which I was eventually treasurer and then president. I also graduated from playing PBM games to running them. Air Force: These were the days of AD&D 2nd edition. No real board game action to speak of, but there were one-offs here and there. 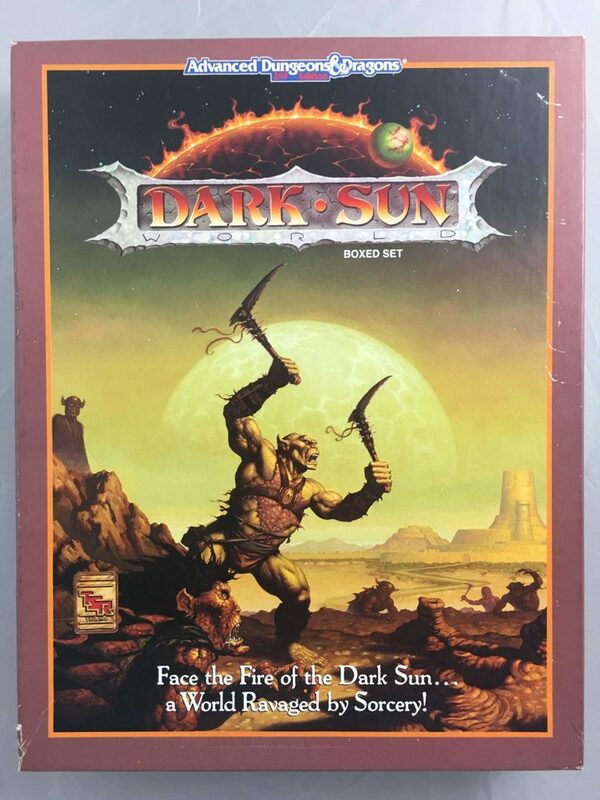 I remember especially a Dark Sun campaign run by my best friend Peter, in which I played a half-giant. There was also a supers game, but I forget what system it was. I do remember Brad building a super-sniper, but still being unable to kill anything, because the system made killing nigh-impossible. Could that have been Champions? Post-Air Force. This is when I went into a gaming hiatus, for many years. I shed most of my games, miniatures, and other stuff, and am still regretting and paying to rebuild that vasty collection. Post-post Air Force. Once I got married, and I settled down with the house and everything, I got the bug again. I went back to AD&D 1st edition (skipping over 3.x and 4E entirely), and playing Ogre Miniatures as well as many of the old favorite hex-and-counter games. Probably not Champions, which has ways of adjusting the lethality, mostly built-in to character creation. Could be Marvel Super Heroes RPG, maybe, but it sort of depends on what sort of characters he couldn’t kill. A near-normal character can be killed as easily as you’d think, while a more super-powered one is not so easy. Villains & Vigilantes plays out almost exactly like you describe, so maybe that was it? As it happens, I plan on posting a comprehensive list of superpowered RPGs and related games soon on The Ongoing Campaign as a precursor to providing as many capsule descriptions as possible, maybe that will help you remember. The games that were a big part of my time, particularly pre university were The Valley of the Four Winds, Cry Havoc (medieval combat skirmish by Standard Games), Kings and Things, Warrior Knights, and Risk. And of course AD&D which we spent all our spare time with. Then a very long hiatus until 2009 when I joined the local Wargames Society and started playing Pathfinder/3rd ed. and occasionally AD&D. Nowadays it’s 5th ed., and Call of Cthulhu with a very wide range of board games. I love that you mentioned Star Fleet Battles. The quick rules were free on-line last I looked. I have Star Blazer Battles but have yet to play it. In my junior college era, we were playing so many different games, my different characters could never level up. It was AD&D, Call of Cuthulu, TMNT, Mech Warrior, Cyberpunk… We also played some ronin/samurai game where rice was the currency. Yeah, when I was playing it was still a small and manageable game. Not the monstrosity it has become with volumes of rulebooks to rival ASL.